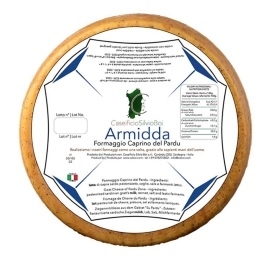 Armidda owes its name to the Sardinian word for thyme, an aromatic shrub which grows spontaneously on its mountains and eaten by grazing goats. 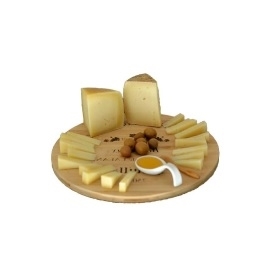 It is made with pasteurised whole goats milk, aged for 60 days and has a characteristic flavor - very pleasant, round and spicy. Its unique flavor makes it pleasant to taste at the beginning or at the end of the meal, and is also wonderful served with jams or honey.